Working with watersoluble pencils enables you to work with a wider range of mark making potential. As well as crisp or broad lines, there is now potential for stains and washes. 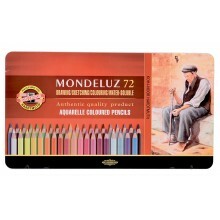 Watersoluble pencils are available in coloured pencils as well as pure graphite.